Do you shop at Dollarama? Apparently a lot of people do despite them raising their prices. Their sales and net income is rising and they aim to expand to 1700 stores in Canada (up for 1400). 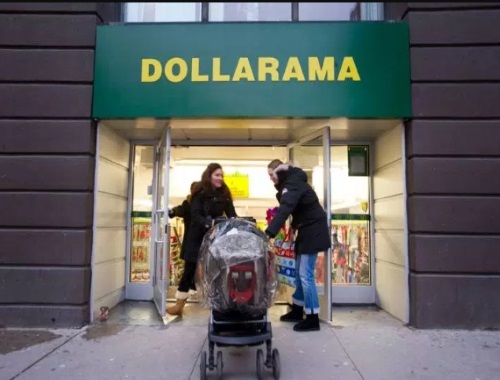 Dollarama stores have been cropping up in upscale neighbourhoods in Canada's major cities (I have definitely noticed this in downtown Toronto). And they are now accepting credit cards (awesome, I tried paying with credit a few months ago and was turned away) and will soon welcome American Express too. The article explains now people of all walks of life shop at Dollarama, even wealthier Canadians enjoy the trill of bargain hunting and that at Dollarama you never know what you'll find.